This Back Care Awareness Week we’re reminded that approximately four out of every five adults will experience back pain at some stage in their life. Whilst there are many physical and psycho-social factors that contribute to back pain – heavy physical work, frequent bending, twisting, lifting, obesity, stress, anxiety and depression – it’s worth remembering that a good supportive bed has an important role to play in relieving back pain. This entry was posted in Chiropractor Advice, Electric Adjustable Beds, King Koil, Orthopaedic Bed, Orthopaedic Bed, Orthopaedic Mattresses, Pillows, Sherborne, Sherborne Upholstery and tagged Adjustable Beds, Back Care Awareness Week, Back Pain, King Koil Orthopaedic Beds, Orthopaedic Beds, Sherborne Adjustable Beds, Sleeping Positions on October 11, 2018 by Mags Byrne. Are you in the market for a new bed but confused about what type to buy? Check out our handy bed buying guide below on how to choose the right model for you. Buying a new bed is a long term investment and you should buy the best you can afford. A good bed can make the difference between having a good night’s sleep or a restless night. This entry was posted in Bed Types, Bedsteads, Divan Beds, Electric Adjustable Beds, Guest Beds, Harrison Beds, Kaymed, King Koil, Mattress Types, Respa, Sweet Dreams and tagged Bed Types, Mattress Types, National Bed Federation, Tips on buying a new bed on July 27, 2018 by Mags Byrne. Now Stocking MiBed Adjustable Beds! We’re very proud to have added Furmanac’s MiBed to our growing offering of mobility products. MiBed by Furmanac, is the UK’s market leader in Adjustable Beds and is widely stocked by both multiples such as Dreams and independents alike. 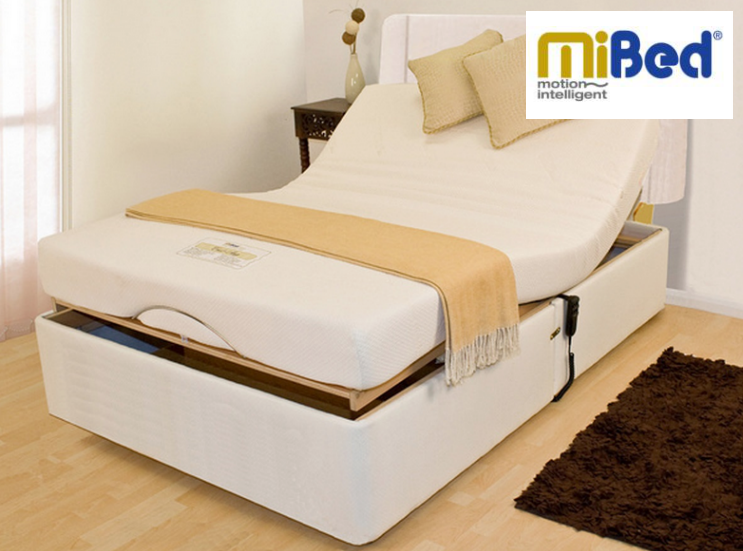 A specialist mobility manufacturer, MiBed offer an unrivaled range of Adjustable Beds with a range of options not commonly available elsewhere. These including Cot Sides, Hoists and Bumper Bars. This entry was posted in Bed Types, Brands, Electric Adjustable Beds, New Products, TV Bed and tagged Adjustable Beds, MiBed on October 10, 2015 by Sharon Dalzell - (Beds Expert). We at Dalzells have proudly added yet another top brand to our growing offering of Bed manufacturers. Say “Hello” to Salus Beds! 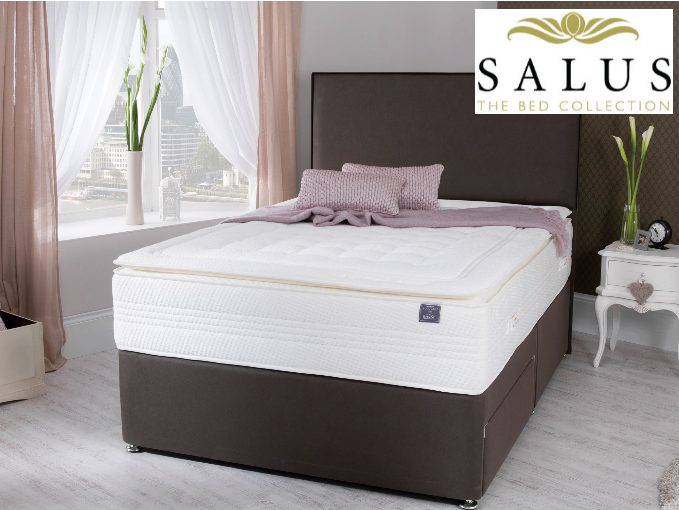 Part of the Breasley Group of companies, The Salus Collection combines the unique properties of Visco Elestic Memory Foam, individual Pocket Springs and Cocona Natural Technology. More recently Salus has built on their success to research and develop further models that have ustilised naturally occurring Latex and to create The Accolade Latex Collection which has enjoyed similar success. Their latest offerings launched just last month include a new Salus Backcare and Viscool Collections. This entry was posted in Bed Types, Brands, Divan Beds, Electric Adjustable Beds, Latex Mattresses, Mattress Types, Memory Foam Mattresses, New Products, Pocket Sprung Mattresses, Salus, Visco Mattresses and tagged Salus Beds on October 10, 2015 by Sharon Dalzell - (Beds Expert). Sherborne Upholstery’s leap into the Adjustable Bed market 3 years ago has been hugely successful, perhaps unsurprising giving Sherborne’s leading position in Recliner Chairs. Nevertheless, the premium Sherborne Dorchester Adjsutable Bed has gained rave reviews from customers and medical professionals alike with it’s superb operation, finish and durability. The only negative perhaps was the price for what admittedly was an outstanding piece of craftsmanship. Realising this and responding to feedback from successful retailers of the Dorchester such as ourselves Sherborne has launched a price competitive alternative that shares all the key features of the original. Meet the Sherborne Hampton Adjustable Bed! This entry was posted in Bed Types, Electric Adjustable Beds, New Products, Sherborne and tagged Adjustable Beds, Sherborne on February 25, 2015 by Sharon Dalzell - (Beds Expert). Out With The Old And In With The New…Bed! The New Year signifies a time of change and transformation, offering us the chance to discard those things that hold us back. For many the New Year encourages us to kick bad habits and establish new routines, from getting fit, eating healthier, to getting more and better sleep. Most adults need between six and nine hours of sleep every night and yet almost two-thirds of us suffer from sleep problems. This entry was posted in Bed Types, Bedsteads, Brands, Divan Beds, Electric Adjustable Beds, Harrison Beds, Hypnos, Kaymed, King Koil, Orthopaedic Bed, Respa, Sleep Advice, Sleep Research, Staples Beds and tagged Bed MOT, Buying a New Bed, How to Choose a New Bed, Types of Beds on January 9, 2015 by Mags Byrne. If you’re thinking of treating yourself to a new bed this Christmas or New Year, arm yourself with all the necessary information so you can make an informed choice. Buying a new bed is a long term investment. Considering the average lifespan of a mattress is around 7 years, it’s worth spending as much as you can afford to get a good quality, comfortable bed. At Dalzell’s we recommend that people come in-store and speak with our expertly trained staff and try out a few beds before you make your new bed purchase. We’ve also produced this handy guide to help make that all-important decision. This entry was posted in Bed Types, Bedsteads, Divan Beds, Electric Adjustable Beds, Guest Beds, King Koil, Orthopaedic Bed, Sherborne and tagged Adjustable Beds, Buying a New Bed, Ottoman Beds, TV Beds on November 13, 2014 by Mags Byrne. With the World Cup looming ,and Father’s Day fast approaching, you may find yourself stuck for gift ideas, but don’t panic, we’ve got you covered! Hard to escape, football fever is taking over especially if you live in a house with footie fans. Short of planning an extended break away, why not go all out and indulge their football passion with a few choice buys. Who knows, you might even get control of the remote once or twice in the coming weeks! This entry was posted in Bed Accessories, Bed Types, Duvets, Electric Adjustable Beds, Kaymed, Kids Beds, Pillows, Pillows, Sherborne, Sweet Dreams and tagged Fathers' Day, Football Beds, Recliner Chairs, TV Beds, World Cup 2014 on June 9, 2014 by Mags Byrne. Is Your Bed a Pain? Did you wake up this morning with aches and pains? Well, you’re not alone. Recent research by the British Chiropractic Association (BCA) found that nearly one in three people experience back and neck pain after a night’s sleep. The survey also found that one third (33 per cent) of people only change their mattress once every ten years, despite recommendations by The Sleep Council to do so every seven. This entry was posted in Chiropractor Advice, Dorlux, Electric Adjustable Beds, Kaymed, King Koil, Mattress & Bed Care, Myers Beds, Orthopaedic Bed, Respa, Sleep Advice, Sleep Research, Slumber Night, Staples Beds and tagged Back Care, Back Pain, British Chiropractic Association, The Sleep Council on January 10, 2014 by Mags Byrne.